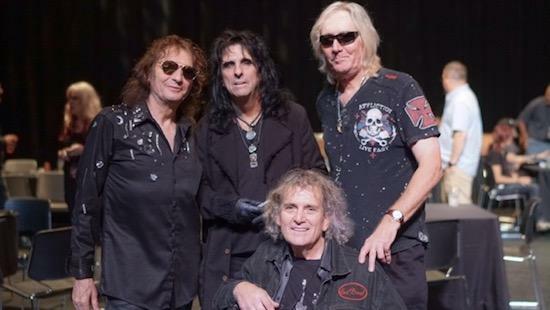 After first shocking the UK years ago with their historic 1971 tour, bassist Dennis Dunaway, guitarist Michael Bruce, and drummer Neal Smith reunite to tour with Alice Cooper in support of his new album Paranormal out 28 July on earMUSIC. The album includes two new recordings written and performed by the touring group, titled 'Genuine American Girl' and 'You And All Of Your Friends'. A well-received 14 May show in Nashville inspired the tour, after the band performed a mini-set of classics with Alice including ‘I’m 18’, ‘No More Mr Nice Guy’, and ‘School’s Out’. The next step is to rekindle their friendship on tour.